So have you heard of the Sassy kid in the web development block yet? Syntactically Awesome StyleSheets (SASS) is the most mature, stable, and powerful professional grade CSS extension language in the world. It is indeed CSS with superpowers! During my HTML-CSS-Only days, I found my verbosity extend to my CSS files as well. This made the website files bulky due to repetition. On a recent Software conference I had attended, a key discussion point was Rule #11 of the Pragmatic Programmer – DRY. DRY (Don’t Repeat Yourself) is a software development principle for reducing repetition and promoting reusability. This principle states that “Every piece of knowledge must have a single, unambiguous, authoritative representation within a system”. Although this was in the context of database schemas, I am sure this applies to WordPress development too – specifically to my rather repetitive CSS writing skills. Relative design elements makes it easier to manage code. For example, colours a shade lighter/darker than another specified colour or inner borders thicker than the outer border. Files that contain little snippets of CSS can be created called partials. These can be then included in other SASS files using an @import directive. This is a great way to modularise CSS and keep things easier to support. Another way to achieve modularity is through sharing a set of CSS properties from one selector to another. LESS is inspired by SASS. LESS was designed to be as close to CSS as possible. This meant existing CSS can be used as valid LESS code. 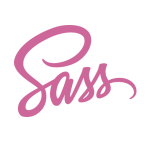 Since then SASS also introduced the CSS-like syntax called Sassy CSS or SCSS.